What is bioengineering/biomedical engineering and what career opportunities might I have as a bioengineer? Biomedical Engineering Careers website (created by the AIMBE). You may also want to check out the employment and wages at the U. S. Department of Labor. Bioengineering is still a relatively new program and we are currently working on establishing company contacts. Over half of our undergraduates have continued on to several graduate and medical schools throughout the U.S.
Can I visit WSU and meet with someone to find out more about the program? Yes! You can schedule an organized visit or a visit by appointment online. Time may be set aside to meet with faculty members of your chosen major during your visit but contact the department early to be sure the faculty member is available. You can also learn more about Bioengineering or Chemical Engineering by visiting the Career Cornerstone website. Washington State University is located in Pullman, Washington. The region is called “The Palouse”. You can find more information about the area on our Pullman Community page which lists a few interesting facts about Pullman and has a couple of useful links. You can also find some interesting facts at Why WSU? What kind of additional programs are available? There are several programs and opportunities for students available at WSU including Honors College, Education Abroad, and ROTC to name a few. You can contact your department to find out more programs specific to your interests. What student clubs are available? There are numerous clubs and societies available at WSU. Many are for engineering students and can be found at the College of Engineering and Architecture website on the Student Clubs page. Where is the Academic Success and Career Center (formerly CACD)? The Academic Success and Career Center is located in Lighty Rm 180. You can also contact them via phone at 509-335–6000. What is the Academic Success and Career Center? Academic Services has joined up with Career Services to provide better services to students. For more information, go to their website at the Academic Success and Career Center. Where is the Registrar’s Office? The Registrar’s Office is located in French Ad Rm 346. You can also contact them via phone at 509-335–5346. Where is the Voiland School of Chemical Engineering and Bioengineering Office (ChEBE)? Our office is located in Wegner Hall Rm 105. You can also contact us via phone at 509-335–4332. Please check out our Bioengineering Curriculum Flow Diagram for more information on the sequence of courses suggested for bioengineering. Engineering is the only professional occupation that starts at the bachelor level, therefore, our courses reflect the level of information required of a professional engineer. What courses should I take for Advanced Placement? You can check the Advanced Placement Credit page to view which exams will transfer into WSU. Please note that if you take Physics that there is no lab credit and you would still be required to take Physics while attending WSU. The most popular AP courses are Calculus, Chemistry, Biology, and Physics. What courses should I take for Running Start? You can check the Transfer Credit Equivalencies to view exactly which course or combination of courses will transfer into WSU. You can select either a single course or a set of courses (recommended). The most popular courses are Calculus, Chemistry, Biology, and Physics. What is the Academic Success and Career Center (formerly CACD)? The Academic Success and Career Center is a valuable resource to students regarding their academic path. The Academic Success and Career Center also offers Summer Alive! sessions which introduce new students to University life. Are there research opportunities available for undergraduates? Yes! You can contact any of your professors or the department in which you are interested in working. Tuition rates vary on several factors. You can get a complete estimation at Tuition & Fees. Financial Aid information can be found at Office of Student Financial Aid & Scholarship Services. Scholarship information can be found at Scholarship and Finances. There are additional scholarships offered by the College of Engineering and Architecture—Scholarships. There are several residence halls that students can live in. The resident hall that is recommended most often for engineering students is Stephenson Complex. Students with similar interests in majors are placed together to better support each other. More information can be found at Housing Services. Tutoring is offered throughout WSU including the Academic Success and Career Center, the College of Engineering and Architecture, and within several departments that offer the subject course. Campus Resources can be found at Student Support Services Program (SSSP), through the College of Engineering and Architecture, or through the department. What is the deadline for ??? Check out the Academic Calendar for important deadlines. Where do I go for the Writing Portfolio? The writing portfolio program is located in Smith CUE 305. Why do I have a Writing Portfolio Hold? A writing portfolio hold is placed on all students after you have completed 60 semester hours. You can find out more information at the Writing Program page. 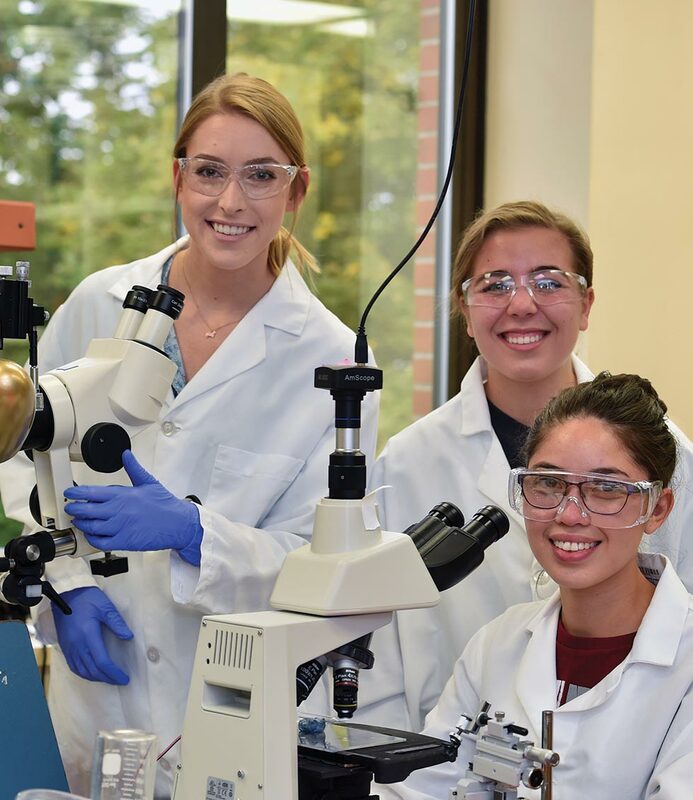 Campus Resources can be found at Student Support Services Program (SSSP), through the College of Engineering and Architecture, or through the department—Voiland School of Chemical Engineering and Bioengineering, PO Box 646515, Washington State University, Pullman WA 99164-6515. Most students receive information and advisor assignment during the summer either through Summer Alive! or via regular mail. If you have forgotten who you advisor is, you can contact the Academic Success and Career Center. Can I change my advisor? Yes. You can request a new advisor by contacting the Academic Success and Career Center. What student clubs can I join? You can check out a listing of all the student clubs available within the College of Engineering and Architecture. Yes. You can change your major interest at any time before you are certified by contacting the Academic Success and Career Center. They will reassign you to an advisor in your new area of interest. Can I certify a second major or minor? Yes. You will need to fill out a “Petition for Certifying a Second Major or Minor” card available from the Registrar’s Office or you can print it out from the RONet Website and return the completed form to the Registrar’s Office. Can I change my major even though I have certified? Yes. You will need to fill out a “Change of Major Form” available from the Registrar’s Office or you can print it out from the RONet Website and return the completed form to the Registrar’s Office. Are there Internship opportunities available for undergraduates? Yes! You can contact the department that you are interested in working in. There are also fliers posted throughout the College of Engineering and Architecture & also on the department doors when an internship opportunity becomes available. For more information about internships go to the Professional Practice and Experiential Learning (PPEL) Program’s web page. If you are interested in obtaining credit for your internship by registering for BIO_ENG 495, you must fill out Participation Agreement form. Are there Education Abroad opportunities available for undergraduates? Yes! You can contact the Education Abroad office in International Programs. There are also fliers posted throughout the College of Engineering and Architecture & also on the department doors when an Education Abroad opportunity becomes available. More information can be found at WSU Education Abroad Options in Engineering. When can I apply for Graduation? You can apply for graduation after you have completed 70 semester hours and be certified into your major. You will need to fill out a “Undergraduate and Professional Degree Application” available from the Registrar’s Office or from your department. Follow ALL of the instructions on the back of the application card and return the completed card to the Registrar’s Office.